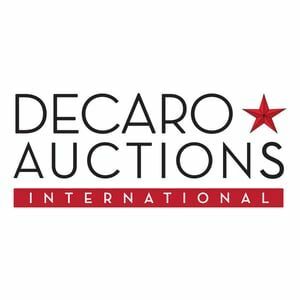 DeCaro Auctions International - DeCaro Auctions International has developed a revolutionary auction process for luxury real estate. DeCaro Auctions International has developed a revolutionary auction process for luxury real estate. In 2015, our annual closings made DeCaro Auctions International one of the largest luxury real estate auction companies in existence. Our unparalleled track record distinguishes us as THE luxury real estate auction company with the strongest reputation of integrity and accomplishment. Daniel DeCaro, president, auctioneer, and licensed real estate broker, founded his company nearly 40 years ago.